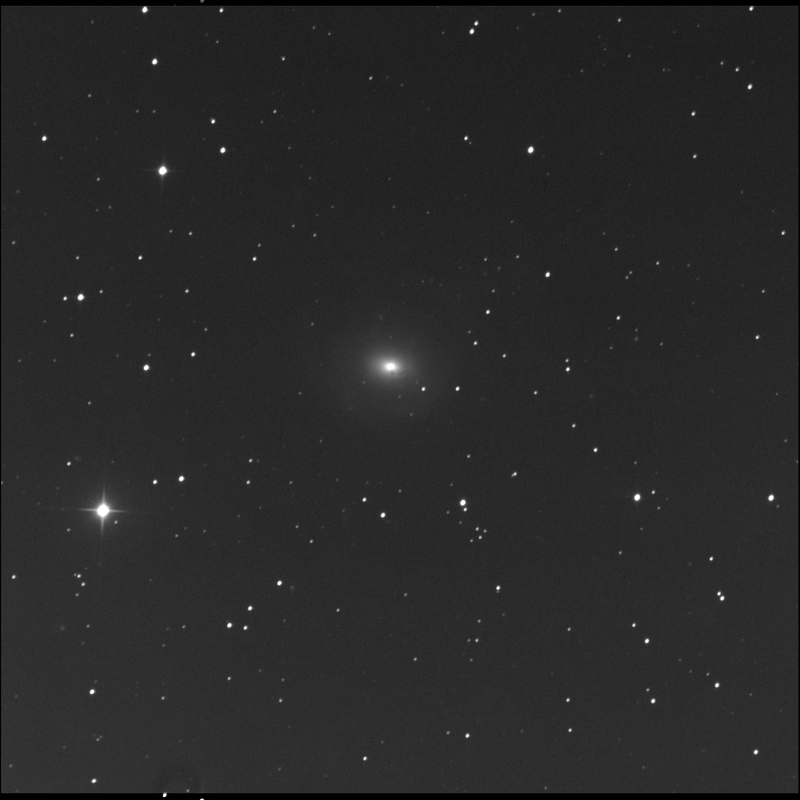 The BGO robot imaged NGC 2655 for me, aka Arp 225. A galaxy in Camelopardalis. One of the RASC Finest NGCs. Fascinating. It has an incredibly bright core, some dark material in the foreground, and a huge round halo. Is it a spiral? Is it an elliptical? It is a lenticular. There is a faint oval fuzzy north-east of the bright star. Not identified in SkyTools. South-south-east of the bright star, beyond the three or four little faint stars is a round lint ball. This is LEDA 2775547. South-east of the NGC galaxy, slightly west of the four bright stars is a very faint round fuzz. LEDA 2775614. Due west of the galaxy is a small round fuzzy. Not identified in SkyTools. West-west-north I can see LEDA 2775979. North-west of the main galaxy, nearby, I think I see a lot of small faint galaxies.